Every credible fleet operator knows instinctively the importance of tyre safety. However, the difference between well and poorly maintained tyres is one that could cost lives, not to mention livelihoods, so the message is one well worth reiterating. Chris Peat has contacted bus and coach tyre manufacturers and distributors to review some of the latest advances in tyre safety. An area of tyre technology Continental has been focusing on is high performance wet compounds, which feature a combination of newly developed filler and polymer concepts. These are designed to provide excellent wet and dry grip without compromising fuel efficiency. It has been working on a new belt construction, where a thicker belt wire design incorporates specially twisted wire filaments embedded in what it describes as an extremely ‘tear-proof’ and low heat build up compound mixture to improve belt durability. Something else Continental has been working on is a triangular belt design, which should result in a far more stable structure with additional strength and stiffness. The company has focused on increased casing durability, as well as its AirKeep air retention technology. The latter technology uses a filler system in the inner liner, which gives 50% more air retention using a conventional gauge thickness. 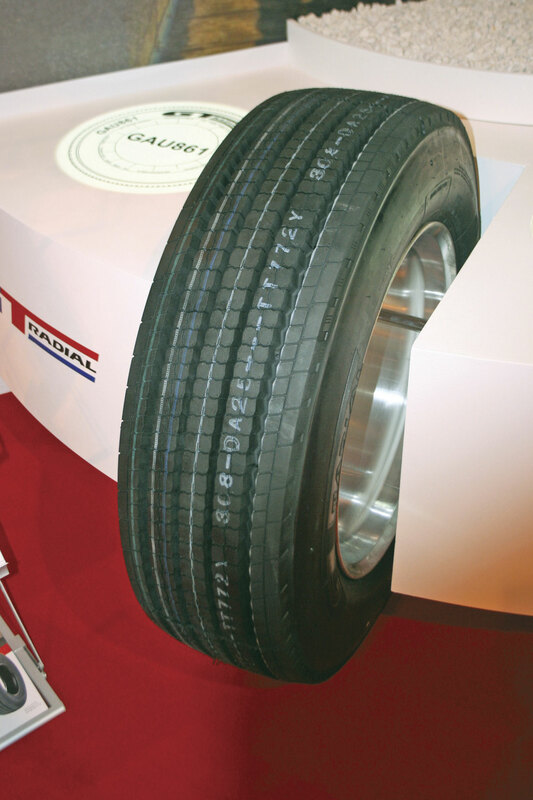 Air pressure is an important factor in ensuring tyre durability and optimised safety performance characteristics. 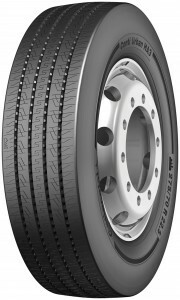 A new reinforced bead design is being worked on to increase the tyre’s durability. Safety features, including those mentioned here, have been incorporated into its three new product lines in the coach and bus sector, which include the ContiUrban HA3, the ContiCityPlus HA3 and ContiCoach HA3. It is not only tyres that Continental has been focusing on in terms of improving safety. It also produces a tyre pressure monitoring system (TPMS) called ContiPressureCheck, which assists in ensuring the safe condition of tyres and also aids in reducing the overall running costs. It features sensors inside each tyre, which detect any changes in air pressure or temperature in the tyres. This data is sent to a live display screen fitted inside the vehicle, enabling any problems to be caught by the driver and dealt with early on. 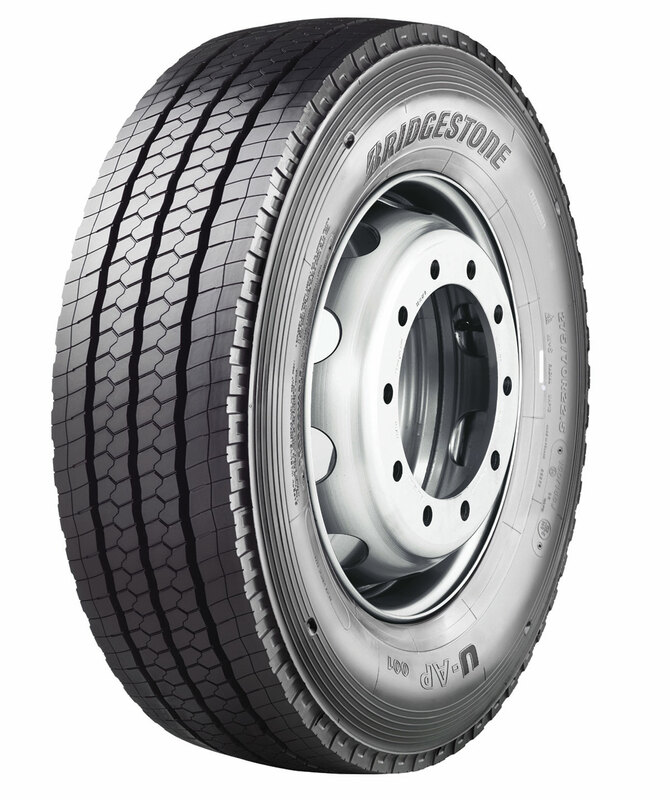 Bridgestone has been making strides towards an even safer tyre. Recent developments for its bus and coach products have been centred on increasing the load carrying capacity in order to ensure the tyres meet Euro6 requirements. These include M788 EVO for coaches, the new RS-001 regional steer tyre and the UAP-001. The latest Urban All Position bus tyre (UAP-001) has an enhanced wet grip label value, making it one of the ‘best in class’, the company claims. In addition to its products, the manufacturer also believes in regular monitoring and inspection of the tyre to maintain optimum economy and maximised safety. As such, it offers to do all bus fleets’ inspections electronically via its T2i inspection system, which captures tread depth and any wear issues. A tyre pressure monitoring system has also been developed. This TPMS is a retrofit solution integrated into the valve cap. It captures tyre pressures and temperatures every six seconds and sends them to a receiver located at the depot or a hand held reader. In the event of a pressure failure, a report is immediately sent to the fleet engineer and the tyre fitter to take action. Goodyear’s Marathon Coach tyre is an all position tyre for year round use, providing grip, braking and handling on slippery roads and excellent levels of safety. It is characterised by an asymmetric design, developed for it and intended to offer good even wear and mileage with a high comfort level. Uneven tyre wear has been a serious problem for tyres on modern coaches, resulting in reduced tyre life. 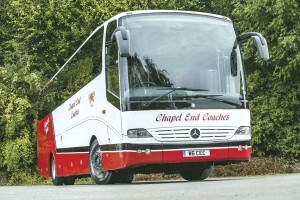 The manufacturer also has a specific winter drive tyre for coaches in its portfolio. The UltraGrip Coach offers enhanced traction on snow and is particularly suitable for operating in the colder regions. In addition its grip and traction characteristics on winter roads, its tread design and width, reduce noise emission, thus improving comfort. As well as developing safer tyres, Goodyear started working on its Air Maintenance Technology in 2011. It aids tyre life, casing durability and safety, helping ensure the optimum tyre pressure is maintained. All of its components, including a miniaturised pump, are fully contained within the tyre. As soon as the pressure in these Goodyear tyres gets too low, an internal pressure regulator opens to allow air to flow into a pumping tube. As the wheel turns, the flattened part helps squeeze air from the tube through an inlet valve into the tyre. This technology is currently under development. Safety was a key concern for Michelin when it developed the X MultiWay 3D XZE tyres. The manufacturer invests over €S600m every year in research and development, which it claims is greater than any other tyre maker in the world. The X MultiWay 3D XZE multi-position tyre is designed to deliver impressive stopping power due to its three-dimensional delta sipes. 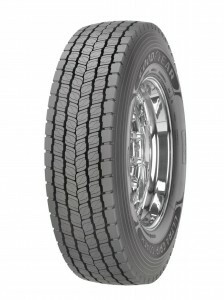 These generate grip in difficult driving conditions, locking together when needed to maintain the stability of the tread. This helps to enhance safety and mobility on dry, damp and wet surfaces, whilst the 3PMSF (3 Peaks Mountain Snow Flake) and M&S (Mud and Snow) sidewall markings are a further indication of excellent grip and traction during winter conditions. 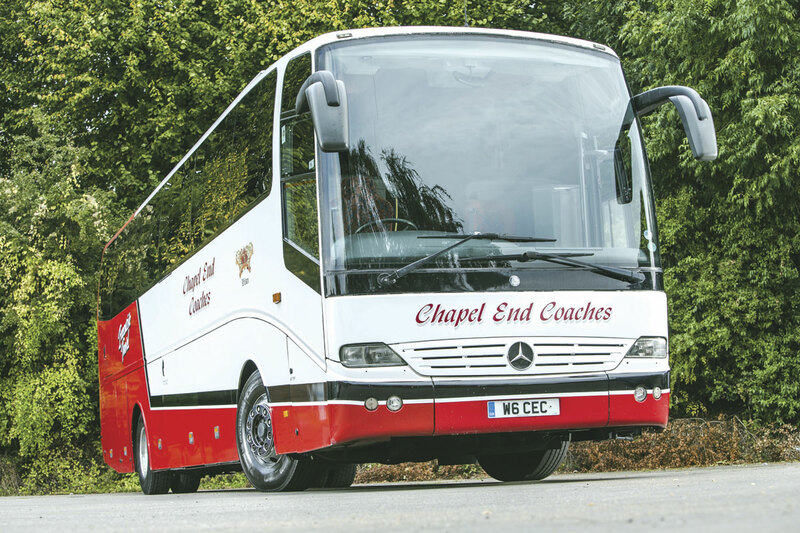 Nuneaton based Chapel End Coaches trialled the product and found a significant improvement in stopping distances and grip. As a result of this test, the operator is now adopting a full Michelin policy on its executive coaches. ATS Euromaster, the company’s tyre service provider, was praised for delivering excellent service during the trial and subsequent transition period to the new tyres. Michelin’s Technical Manager, Rob Blurton, said selecting the correct tyre for the application is a major part of staying safe. The manufacturer is able to inspect vehicles, working out the theoretical maximum load of the vehicle and selecting the right tyre for the job. Maintenance is a key issue when it comes to safety too, according to Rob. One particular area is maintaining the optimum pressure. The company has had RFID tags put on all of its new tyres over the past 12 months to monitor the pressure level, with a TPMS currently ‘under investigation’. Ensuring the wear on tyres is even across all axles is also important to remember. 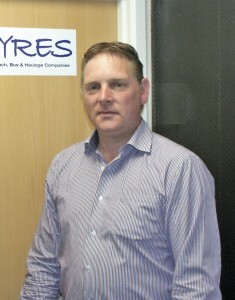 Rob said there is no legislation for winter tyres in the UK and mentioned that M&S marks have no stringent regulations or formal, recognised test process. Anyone can label their tyres M&S. However, there is legislation that requires tyres with these marks to be fitted on coaches in some European countries. On the other hand, the Three Peaks Mountain Snowflake marking is not legally required but tyres with it do have to pass a recognised test. One of the latest tyres from Giti Tire’s GT Radial brand is the GSR225 Combi Road, which has a wider tread pattern to deliver excellent handling and extra resistance to tearing and curbing. Not only does this make it safer, it also makes it appropriate for a wide variety of regional and long haul vehicles. Ensuring a tyre has minimum damage is an important aspect of safety on the roads and as such, GT Radial’s first all-position urban city bus tyre, GAU861, has been designed with an extra reinforced sidewall to ensure maximum resistance to curbing and impact damage. To ensure tyres meet the company’s stringent safety levels, all of its new bus and coach products are the result of the company’s advanced testing and evaluation programme. It has more than 1,000 tyres on field test across Europe at any time. With maintenance important in terms of tyre safety too, Giti Tires also provides its GT Assist package. This allows customers to benefit from a network of independent CV tyre specialists, providing 24 hour roadside assistance. For operators that are keen to use winter tyres during the colder months, all its products for bus and coach applications are snowflake and M&S marked. Hankook R&D teams are continuously exploring new possibilities to further improve tyre safety and performance. For instance, its patented SCCT (Stiffness Control Contour Theory) technology is designed for enhanced casing endurance, significantly improving the safety of tyres by distributing pressure more evenly. This should result in reduced tyre deformation for better handling and braking performance even under full load. Hankook’s AU03 is a multi-purpose tyre specially developed for city traffic service that has frequent stop and go situations. For safety, it provides good wear resistance through its increased shoulder widths for more controlled stiffness. The tyre’s special rubber compound leads to both durability as well as low rolling resistance and uneven wear is minimised through an optimised kerf arrangement. Other major features are the inclusion of full sidewall protectors, to give resistance against shock. 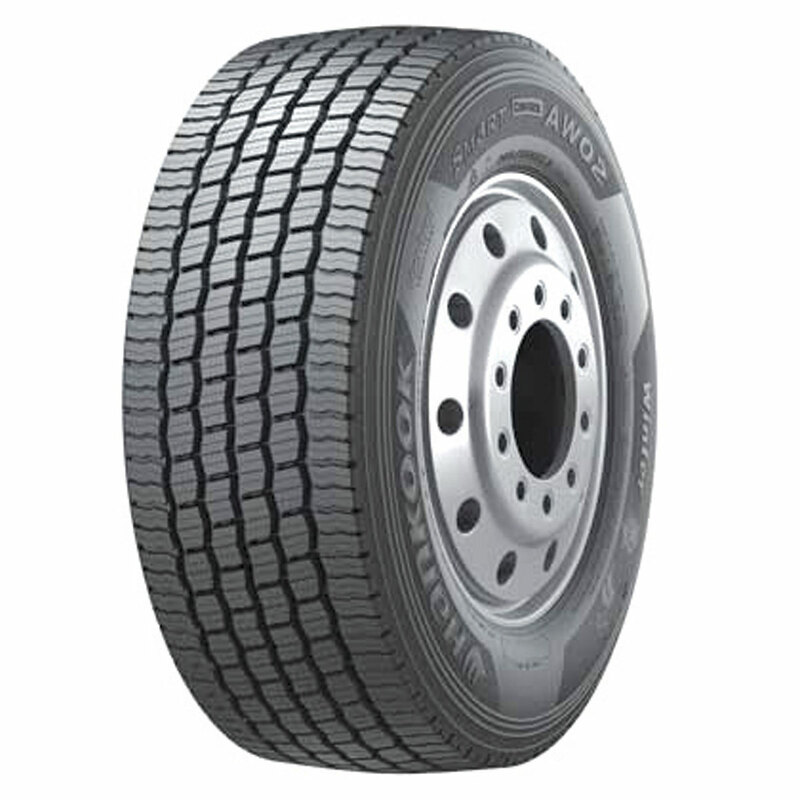 The AL10+ e-cube MAX is a steer tyre that can be an all-round fitment and is designed for long distance service use. It is part of Hankook’s environmentally friendly ‘e-cube MAX’ series, with excellent fuel efficiency and high mileage capability. 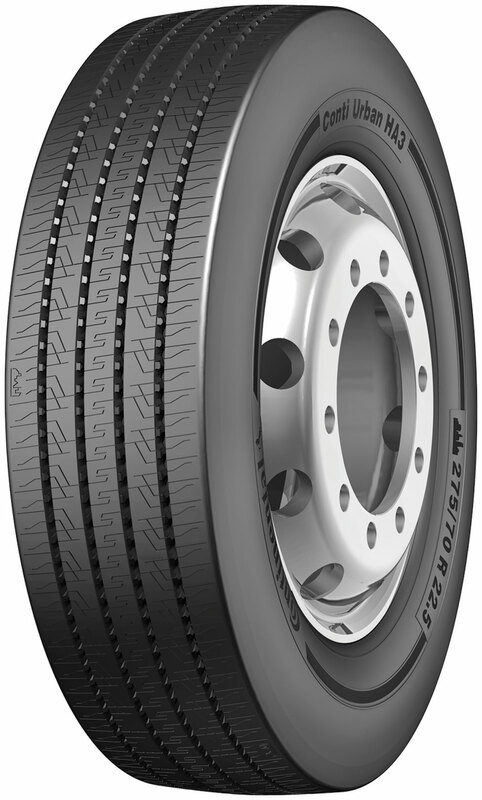 The unique tread design and compounds provide longer mileage and minimise the development of irregular wear. With no one factor making a tyre safe, Hankook focuses equally on all the components incorporated into the design, construction and materials, investing heavily in R&D. Although there is no legal requirement in the UK for the fitment of winter tyres, Hankook recognises their usefulness in certain weather and road conditions. The manufacturer’s SmartControl AW02 with both the M+S marking and the 3PMSF symbol has been designed to deal with icy conditions and achieve high mileage, good traction and low fuel consumption while doing so. Its extra wide tread increases the contact area between the tyre and the road thereby improving handling. The tread design with five main drainage grooves provides extra aquaplaning safety. In addition, 3D-kerfs provide more even wear of the tread surface, guaranteeing higher mileage. A newly developed tyre mixture that has been developed for harsh winter conditions makes the tyre particularly resistant to the cold and demonstrates full performance even at very low temperatures. As has been mentioned already, checking tyre pressures regularly is a basic, yet important, part of ensuring safety. However, this takes a lot of time if done manually. To overcome this, a new product has been launched, the WheelRight drive over tyre pressure monitoring system. 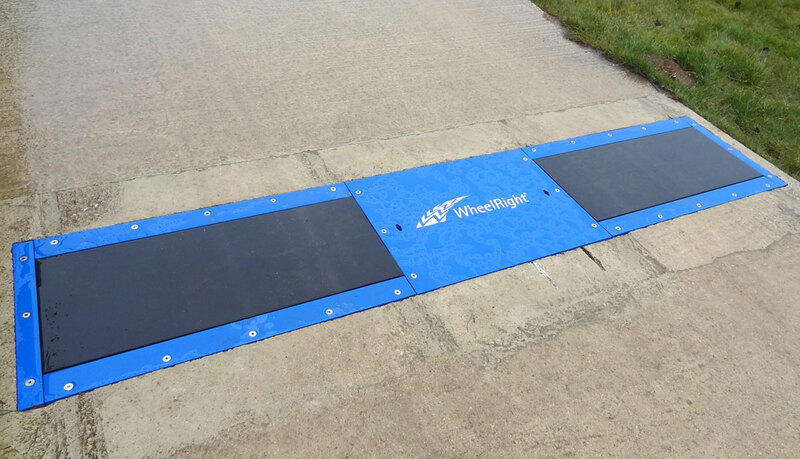 Installed in-ground at a depot, buses drive over the sensor pad and the equipment automatically senses the tyre pressure and sends a warning message to the relevant staff member if they are under or over inflated. WheelRight Chief Executive, John Catling, claims his company’s product means checks could become a daily activity, moving away from what he says is the industry standard of four to six weeks. There is a lot of uncertainty among operators about whether winter tyres are suitable for UK buses and coaches, particularly as there is no law concerning their fitment. The question is, does the weather warrant the investment? One way round this has been to carry snow chains and fit them when necessary. 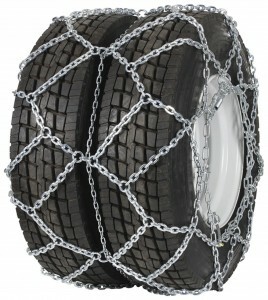 Pewag Cerveno snow chains are available from Brindley Chains. They are designed with an efficient fastening and tensioning system for easy fitting and handling. They have square section chain links for maximum traction. Another provider of snow chains is Parma Industries. 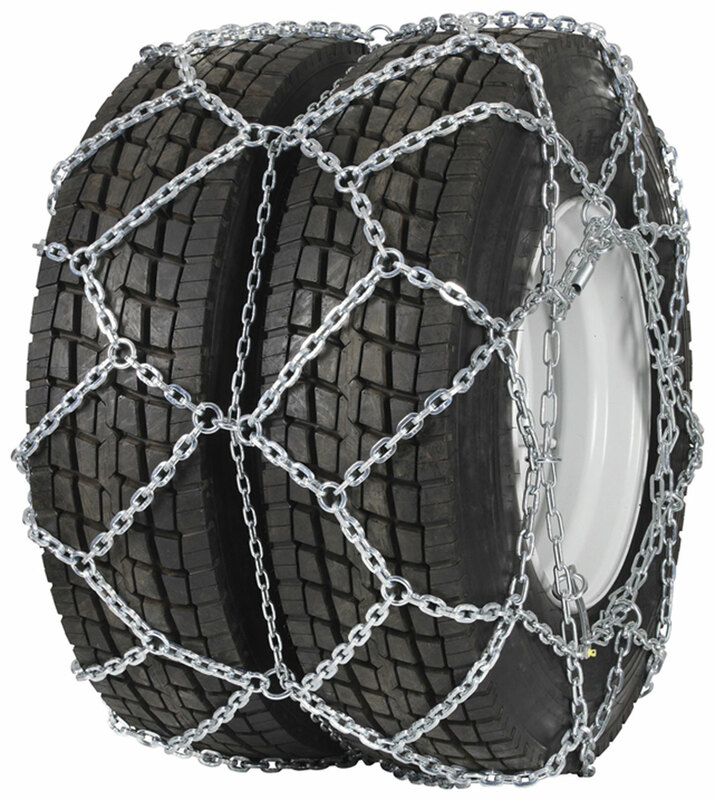 The company provides the Andean Range of snow chains, which are specially designed to assist traction in really wintry conditions. It has a simplified design for easy fitment and removal. They are TUV approved for use in all European countries.